White Mountains (NYSE: WTM) is a diversified insurance and related financial services holding company that owns and manages businesses seeking a stable, sophisticated partner to drive value creation. Grounded in the core principles of our visionary founder Jack Byrne, we have been careful, opportunistic and successful stewards of our shareholders’ capital for more than three decades. We are most proud and protective of our reputation as a good partner – to our shareholders, to other stakeholders in our businesses and to the talented management teams who run them. In the end, doing right by your partners is what guarantees the next deal and the deal after that. An insurance enterprise must respect the fundamentals of insurance. There must be a realistic expectation of underwriting profit on all business written, and demonstrated fulfillment of that expectation over time, with focused attention to the loss ratio and to all the professional insurance disciplines of pricing, underwriting and claims management. The first concern here is that insurance liabilities must always be fully recognized. Loss reserves and expense reserves must be solid before any other aspect of the business can be solid. Pricing, marketing and underwriting all depend on informed judgment of ultimate loss costs that can be managed effectively only with a disciplined balance sheet. Historically, the insurance industry has emphasized investment income (interest and dividends) above capital gains. White Mountains invests to maximize total return over time. White Mountains manages its bond portfolios for after-tax total return and also invests prudently in equities. Thinking like owners has a value all its own. There are stakeholders in a business enterprise, and doing good work requires more than this quarter’s profit. Thinking like an owner embraces all of that and is the touchstone of a capitalist enterprise. Jack Byrne takes Fireman’s Fund public at $25.75 per share. Fireman’s Fund is sold to Allianz. The remaining holding company and residual assets form the starting point for the future White Mountains. White Mountains invests in and sponsors the IPO of financial guarantor Financial Security Assurance (FSA). White Mountains acquires 50% of Folksamerica Re. The remaining stake is acquired in 1998. White Mountains redomiciles from Delaware to Bermuda, a leading international insurance center. Amid the fallout of the dot-com bubble, White Mountains makes its initial investment in direct to consumer online auto insurer Esurance. FSA is acquired by Belgian-French bank Dexia Credit, Europe’s largest municipal lender. In a transformational transaction, White Mountains acquires CGU’s U.S. insurance operations (renamed OneBeacon) with significant financing and reinsurance provided by Berkshire Hathaway. White Mountains sponsors the creation of Montpelier Re, replenishing reinsurance capacity in Bermuda after the terrorist attacks of September 11. White Mountains acquires Sweden-based global reinsurer Sirius International from ABB and later combines this with Folksamerica Re to create Sirius Group. White Mountains leads a consortium of private investors in the acquisition of Safeco’s life operations (renamed Symetra). White Mountains acquires its initial stake in personal insurance agency Answer Financial (AFI) as a complement to Esurance. AFI became wholly owned later that year. 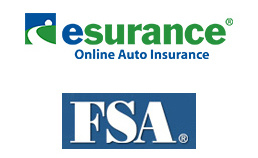 White Mountains sells Esurance and Answer Financial to Allstate. White Mountains sponsors the creation of the U.S.’s first mutually-owned municipal bond guarantor Build America Mutual and its primary reinsurer HG Re Ltd.
White Mountains invests in PassportCard, a managing general agent in the travel insurance industry. 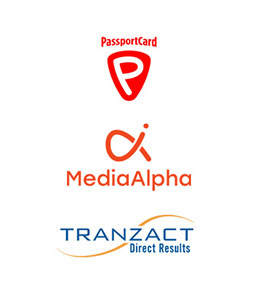 White Mountains acquires MediaAlpha, a leading marketing technology company. 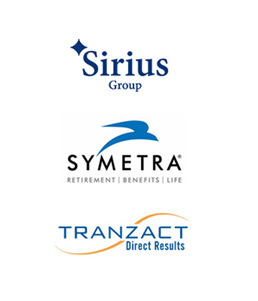 White Mountains acquires Tranzact, a leading provider of end-to-end customer acquisition solutions to the insurance sector. 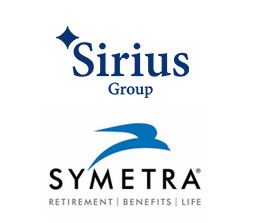 White Mountains sells Sirius Group to China Minsheng Investment Corp.
Symetra is acquired by Sumitomo Life. White Mountains sells Tranzact to Clayton, Dubilier & Rice. 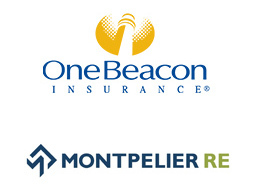 OneBeacon is acquired by Intact Financial Corp.
White Mountains acquires NSM, a full-service managing general agent and program administrator for specialty property & casualty insurance. 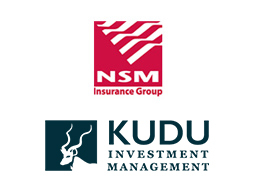 White Mountains invests in Kudu, a provider of capital solutions and advisory services to boutique asset managers.